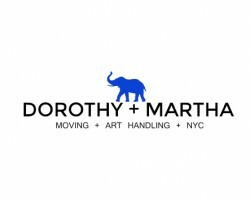 Dorothy and Martha Moving and Art Handling - efficient Brooklyn moving company To find an efficient moving company in Brooklyn is not easy . However , Dorothy and Martha Moving and Art Handling is just that - efficient , thorough , and quick moving company with the most reliable art handlers NYC . Whether you need us to relocate your masterpieces or your living room , we are there . You can count on us being punctual and showing up at the agreed time . © 2019 Youthful Home | All Rights Reserved.